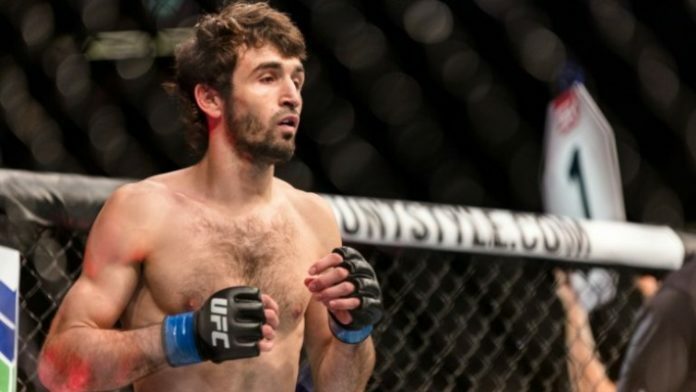 Russian featherweight Zabit Magomedsharipov is readying for some time off to heal up and observe Ramadan but then he hopes to face Jose Aldo when he returns later this year. Highly touted Russian featherweight Zabit Magomedsharipov picked up the biggest win of his career this past weekend when he earned a unanimous decision win over Jeremy Stephens at UFC 235. The victory rocketed Magomedsharipov up the rankings where he is now No. 6 in the division and he hopes that will put him one step closer towards title contention when he books his next fight in 2019. First things first, Magomedsharipov has to heal up a nagging foot injury and he’s also preparing to observe Ramadan, which goes from May 5 to June 4, which will require him to take additional time off before returning later this year. Last Saturday night after earning the win over Stephens, Magomedsharipov took to Twitter and immediately dropped two possible opponents that he could target for his next fight. The two names — Jose Aldo and Alexander Volkanovski — were ultimately booked in a fight against each other at UFC 237 in May. While he would obviously love to face the winner no matter who comes out on top, the Magomedsharipov definitely has one name in mind for who he would prefer to battle. In a perfect world, Magomedsharipov would face Aldo and then move onto the title, which is currently held by featherweight champion Max Holloway. Holloway is leaving the division in April when he moves up to lightweight to challenge Dustin Poirier for the interim championship at UFC 236. A win could delay Holloway from defending his featherweight title or perhaps he would leave the weight class entirely while preparing for an eventual showdown with current 155-pound champion Khabib Nurmagomedov. For his part, Magomedsharipov doesn’t expect Holloway to stay gone for long because he doesn’t believe the Hawaiian is built for the lightweight division. What do you think of a potential matchup between Zabit Magomedsharipov and Jose Aldo? Sound off in the comments and let us know!